Basics– Can you survive a blender of Appendix N other world science fantasy? On the Purple planets a race of ape men fight under the guidance of strange alien powers for control of a desert world full of timeless technology as well as giant worms. 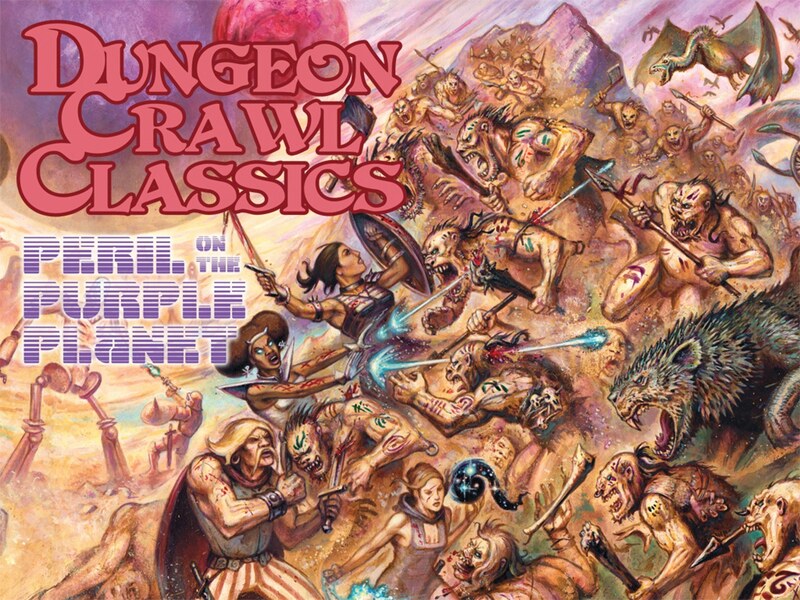 It’s every single awesome old school fantasy book, movie, and song rolled into one-the way any DCC RPG product should be made. Will you solve the secret of how to survive the world and find a way home or will you die in the dust?